Location: Hood River, Oregon, 1hour east of Portland in the scenic Columbia River Gorge. 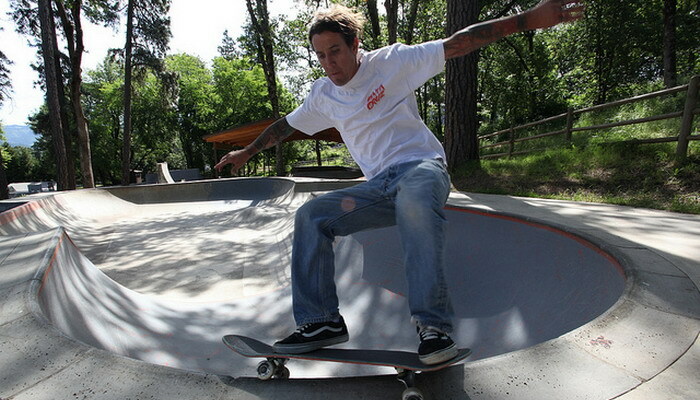 Direction to address Hood River Skatepark in Oregon: Take I-84 east to Hood River. Take exit #62 and the take a right onto Cascade. Take a left on Rand Road and then a quick right onto Wasco Street. The skate park is on the right side. Description: This park is constructed out of wood and steel. There is a full halfpipe with coping, a full street course, mini-bowl with deep set coping for beginners, as well as a 12 foot high vert ramp and another 8' halfpipe with a 6' section . 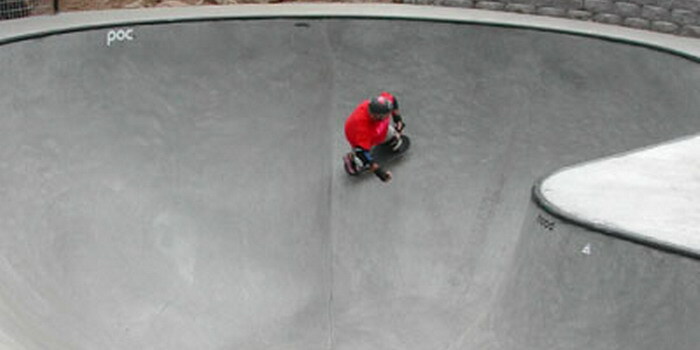 The New Bowl is Killer, you must check it out! 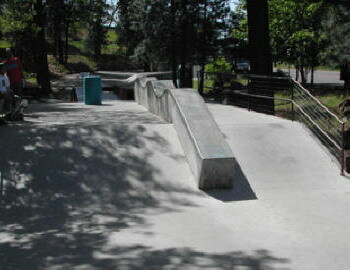 There is a new concrete street section containing a ledge which resembles Newberg's "dragon rail," a 4ft. 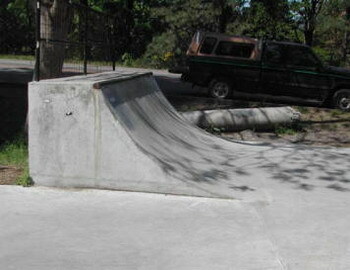 quarter, a tabletop with ledge and rail, and a bank. Dan Loveland, the lazy webmaster for oregonskateparks. Connor 50-50 across the funbox ledge.